So, do you really need a Sales Process Audit? Urban myth or not, we’ve all heard the story of the business who decided to employ a productivity specialist to make the production line go faster. The aim to make more widgets per hour, so up the production, sell more and make more money. Now, there were a few managers around the business, including the business expert who said this would actually have quite the reverse impact. They’d factored in potentially poorer quality, more returns, bigger burden on customer service, storage issues and additional costs. Well, that’s just the start of the issues. Regardless their collective voices went unheard. Post event when the bones of the business were being picked through the accountants realised a few truths. They discovered that by running the machines just 10% faster, caused costs to increase to such a degree that even though the business turned over higher revenues, the profit all but disappeared. Now, apocryphal story or not, who knows. It’s a valuable lesson none the less. Not least because it begs the question…is what you do today taking the business and sales in the right direction, or are you really just drilling holes in your boat? What is a Sales Process Audit? 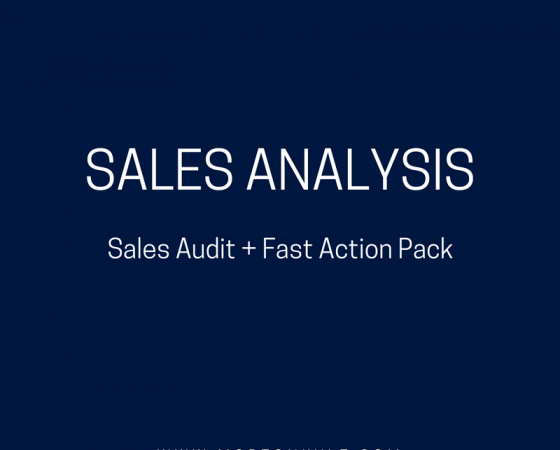 It’s a full audit of your sales function. Hit the link below and you’ll be able to see what is involved in your audit. You know there are 100’s of sales levers to improve sales results, but how do you know you’re working the right levers to get the sales improvements you need? Or, even worse, how do you know that the lever you’re pulling won’t impact negatively on your sales results? The truth is you don’t always know. Certainly, it can be more intuitive. But the question is, just where do you start? What levers do you pull? What levers do you pull first, or push last, or get rid of all together? Just hit the link above for full details. But Why Should I Get a Sales Process Audit? Discovery: they’d recently invested more focus, energy and money on new business development than customer service and retention. They had totally dropped the ball with regard to looking after existing customers. Subsequently, ex customers were starting to talk and their credibility was shot. Solution: power up the customer retention, introduce a formal account management and account development customer retention plan. Explore client training via webinars. Introduce additional products and sticky products and services. Potentially low cost, but provided a tie in solution for the software users. Build a solution for new user training that began a community building process from day 1 – this maintained high levels of usage and reliance. Discovery: their average sales order value was just 20% of their competitors, they didn’t focus on specific sectors so their sales message was all over the place, sales guys were diverted between sales lead generation internally and new business development externally as well as account management and business contract renewals. Solution: create separate functions for new business development and account management, pick 3 red hot niches and get s robust ROI to demonstrate value and strong sales value proposition. Restructure the management team. Result – average order value after 5 months was x5, and team had stopped loosing money. Solution: changed commission structure to reflect a period where the sales person could hand over to customer services/internal team, introduced sign on costs and bulk buy packages. Plus tighter terms and conditions for long term block usage, improved skills on pricing and relaying pricing information and packages. Could All These Firms Improved Without a Sales Process Audit? Worth the Wait to Find Out? That’s your call…but why risk it? 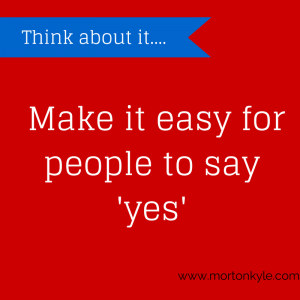 A sales process audit with Morton Kyle takes anything from 3-6 days depending on the scope we agree. It’s tailored to what you want to explore within the audit. The results are typically available within 5 days. It’s the fastest, most effective and easiest way to confirm you’re on the right sales track, or need to readjust your course, and how to make those adjustments. So, book your call in to discuss how your business can benefit from our Sales Analysis service. 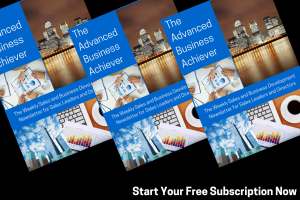 To sign up for free sales and business development insights – hit the link – The Advanced Business Achiever – and claim your free subscription. A sales process audit is your key to releasing the infinite potential within your sales team…so why wait? This entry was posted in Blog, Sales Audit, Sales Consultancy, Sales Performance Management, Sales Strategy, Sales Training and tagged Accelerated Sales Growth, Audit Sales Process, Business Consultant, Business Process Audit, Business Process Review, Continuous Sales Improvement, Sales, Sales Consultant, Sales Consulting, Sales Improvement, Sales Process Audit, Sales Process Review. Bookmark the permalink. High Performance Sales Pro’s Consistently Achieve Sales Targets. You?